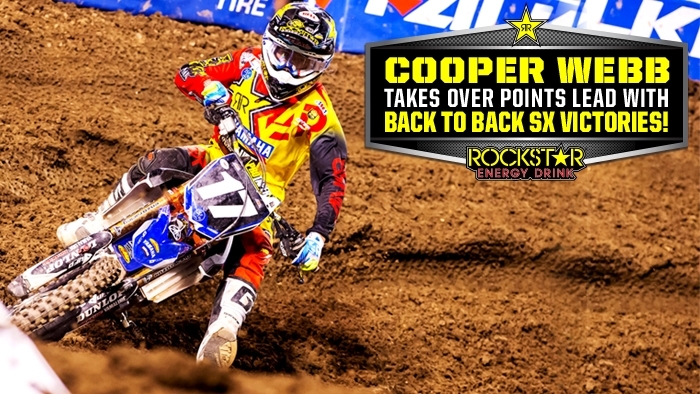 Star Racing Yamaha's Cooper Webb was unstoppable at A2. Rounding the first turn outside of the top 15 looked to cost him some points with Jessy Nelson in the lead. Cooper came all the way through the pack and was suddenly and rapidly making up time on the leader Tyler Bowers. He then made his move on the last lap for the lead. He was not going to be stopped on that night by anyone.